Our Achievers, Advisors & Alumni share what the “Company Program Experience” means to them. 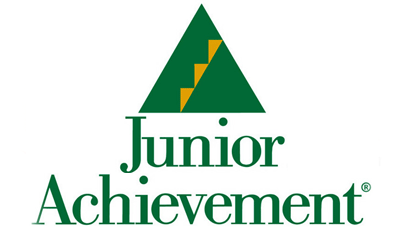 Junior Achievement’s 18 week Company Program offers a group of high school students an opportunity to take an eight month journey of triumphs, failures, and, ultimately, discovery. The program is an inclusive opportunity for students in grades 9-12 across Central Ontario to participate in this signature JA experience free of charge. Generous corporate partners throughout the community not only provide the funding for the program but also provide the meeting space and most importantly employees from their organization who act as volunteer mentors (referred to as Advisors) over the 18-week period. The group of students, under the guidance of these Advisors, creates, manages, and liquidates a business in 18 weeks. They use real money, real products, and have real customers. The experience is capped off with the Company Program Awards, which are celebrated in May at a local theatre. Company Program gives student participants important “real world” experience; helping to build their confidence and pushing them to go beyond what they think is possible. The journey is almost more important than the destination. Its impact can change young minds and hearts, and can last a lifetime.